The Vietnam War was one of the longest and most controversial wars fought by the U.S. military. The war began in 1957 and ended in 1975. The goal was to help South Vietnam prevent the spread of communism coming from the North Vietnamese. The U.S. involvement was intended to be minimal, but we continued to send troops as the war dragged on. Many U.S. soldiers who served in Vietnam lost their lives or suffered long-term effects such as Post-Traumatic Stress Disorder (PTSD) and illnesses due to exposure to Agent Orange. Unlike troops of other wars, Vietnam Veterans were treated disrespectfully and not given the tribute they rightfully deserved. The veterans featured in this exhibit, whether volunteer or draftee, served without complaint or regret. Each rose above the controversy and made the most out of every experience. Several of the museum static displays were either actually in combat situations in Vietnam, or an exact representation of such. There are also many personal items throughout the museum which belong to the Veterans whose stories you will read in this exhibit. 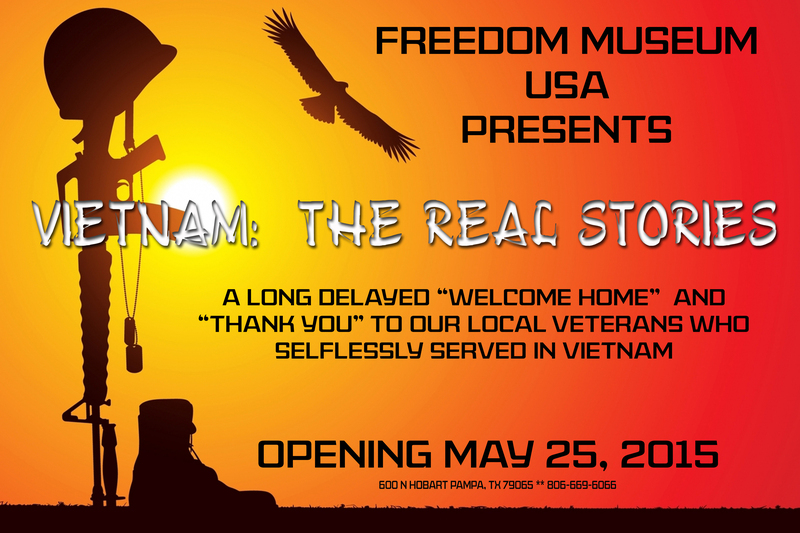 It is the goal of this exhibit to pay tribute to these Vietnam Heroes because it’s time for us to listen to and value their stories. If you have a story you desire to share, please let us know. To all the veterans and fallen of the Vietnam War, we express our sincere gratitude for your service. To those who were so brave as to share your experiences, we deeply appreciate your participation.